The MOVE Congress 2015 proved to be a real event-on-the-move, far away from any “classical” congress concept. 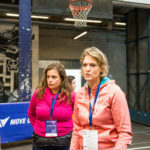 With a wide variety of options to get into the action through street sport and spontaneous dances, visits to innovative facilities and plenty of time for networking, there was more to this year’s MOVE Congress than the traditional programme. We offer you an exclusive look beyond the agenda of the MOVE Congress 2015. The official opening of the MOVE Congress took place in the historic building of Copenhagen’s City Hall. The MOVE Congress delegates were welcomed on 5 November by Carl Christian Ebbesen, Copenhagen Mayor of Culture & Leisure. After the official opening ceremony the evening a special celebration of ISCA 20th anniversary took place, with a surprise-birthday cake cut by the trio Mogens Kirkeby, ISCA President, Marvin Radford, ISCA Head of External Relations and Fundraising, and Tiina Kiislar as a representative of the volunteers supporting ISCA. As the MOVE Congress is all about being active, it wouldn’t have been true to its cause if there were not enough opportunities for its delegates to move and stay active. 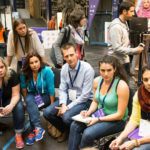 It was the first MOVE Congress offering so much interactive sessions, side events and energising activities to its participants. Most of the presentations were followed or preceded by short physical activity breaks. During the breaks the participants were involved in warm-up exercises, flashmobs, and free playing of basketball, panna, hula-hoop spinning, and parkour. During the breaks between MOVE Congress sessions the delegates had the opportunity to move around GAME street sports facility using Me-Mover bikes – especially designed for to give a muscular and cardio workout. The presenters also stayed true to the active lifestyle cause and involved the audience in different active experiences. Dr. Jayne D. Greenberg from Miami-Dade County Public Schools in the USA, moderator of workshop dedicated to school initiatives, opened her session with an invitation to the audience to dance along with Mrs. Michelle Obama on the Ellen DeGeneres Show. Greenberg is also a member of the US President’s Council on Fitness, Sports and Nutrition. The MOVE Congress offered a variety of topics related to street sports. 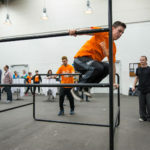 Thus the Street Sport Festival at GAME facility was a natural choice for Saturday “night out” for MOVE Congress guests. The concept was introduced by street food menu offered directly from three street food trucks parked in Parkour Hall. Hamburgers, empanadas and stuffed veal Morocco style were a great warm-up for the Street Sport Festival. Latino dance session, free basketball and panna were among the activities offered during the Street Sport Festival indoors. The initiative of DGI and Coca-Cola #HappyMoves offered a special zone for street dance performance. The guests were excited to see and play panna with the boys from Copenhagen Panna House. Some of them, including ISCA President Mogens Kirkeby, had the chance to score against CPH players. One of the stars of the evening was Marvin Radford, ISCA Head of External Relations, who entertained the guests with classic blues performance along with his band Ace of Blues. The evening went on with a special thank-you ceremony to all ISCA supporters and partners. A short movie offered a look back at some of the most iconic moments of ISCA’s 20 years of history. All participants could see their names on the screen being an addressee of the big thank-you by ISCA. 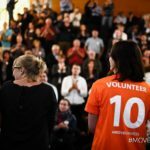 The last day of MOVE Congress was full of opportunities to become acquainted to new experiences. 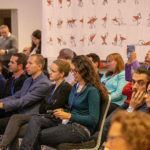 Along with the practically oriented workshops dedicated to fundraising and partnerships, the programme offered behind the scene acquaintance with GAME sport activities. GAME co-founder and GM Simon Prahm presented GAME’s strategy focused on boosting social change and development through street sport. His presentation was followed by demonstrations of various sport activities that could be performed on the street. MOVE Congress delegates had the chance to take active part in full time training in basketball and parkour. 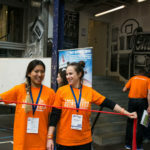 Volunteers from the Ollerup Academy of Physical Education (pictured at the top of the article) were caring companions for the MOVE Congress guests. 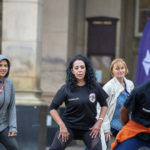 They took charge in delivering the energising dances, flashmobs, training with elastic bands, rock-paper-scissors games, exercises for two, and whatever could get the participants moving. The energisers were not done purely for the sake of physical activity, but were also done to create a lot of fun and positive energy in the hall. 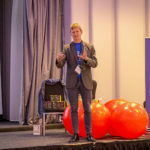 This year’s MOVE Congress was the most active yet, walking the talk and breaking the traditional conference mould – it is, of course, all about physical activity.